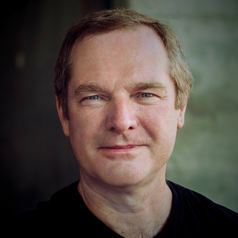 Andrew Maynard is author of "Films from the Future: The Technology and Morality of Sci-Fi Movies", and a Professor in the School for the Future of Innovation in Society at Arizona State University. He is also Director of the ASU Risk Innovation Lab. His research and professional activities focus on risk innovation, and the responsible development and use of emerging technologies. He is especially interested in novel approaches to understanding and addressing risk; effective approaches to developing socially responsive, responsible and beneficial technologies; understanding and responding to the increasingly complex couplings between converging technologies and society; and effective science communication and engagement – particularly through social media. Andrew is widely published in the academic press and in public media. His peer review papers stretch from physics and nanotechnology, to toxicology, risk perception, governance, and policy. He writes regularly for the journal Nature Nanotechnology, and is a frequent contributor The Conversation. He also directs and produces the YouTube science education channel “Risk Bites”. Andrew’s science training is in physics – specializing in nanoparticle analysis – and for many years he conducted and led research on aerosol exposure in occupational settings. In the early 2000’s he became increasingly involved in guiding US federal initiatives supporting nanotechnology research and development, and in addressing potential risks. In 2005 he became Chief Science Advisor for the Project on Emerging Nanotechnologies (and later the Synthetic Biology Project) at the Woodrow Wilson International Center for Scholars, and for five years helped inform national and global initiatives addressing the responsible development of nanotechnology. Over this period, he became increasingly interested in science communication and science policy, and began working closely with academics, policy makers, industry, non-government organizations, and journalists, on science-informed decision making. This interest continued between 2010 - 2015 as Director of the University of Michigan Risk Science Center, and Chair of the Environmental Health Sciences Department. In 2015 he joined the faculty of the School for the Future of Innovation in Society at Arizona State University to continue his work and collaborations on socially responsible, responsible and beneficial research and development. In the course of his work, Andrew has testified before congressional committees, has served on National Academy panels, and has worked closely with organizations such as the World Economic Forum and the International Life Sciences Institute (ILSI) that promote public-private partnerships.